Home / Unlabelled / WHY I DEFECTED FROM THE PDP TO THE APC- ONDO DEPUTY GOVERNOR. WHY I DEFECTED FROM THE PDP TO THE APC- ONDO DEPUTY GOVERNOR. 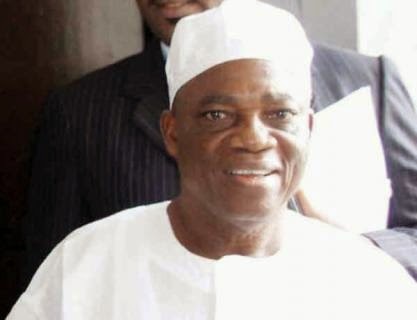 A statement by his Chief Press Secretary, Daisi Ajayi, said Alhaji Olanusi defected with his teeming supporters to the APC where they can find justice and equity. "In the unfolding political development in our country today, and in Ondo State in particular, it is increasingly clear that I need to chart a new course for majority of my followers who look up to me for direction and leadership and who have watched helplessly in the last six years (6) years, the untold marginalization and total exclusion from the government they labored to put in place,” he was quoted as saying. He said he took the decision at this critical time in the best interest of peace, stability and good governance of his dear Ondo State and for the overall development of the South West and the nation.